with a focus on tenders and other suppliers’ selection processes. starting from the initiation of the requirement, bid process, evaluation stages including financial and budget estimations. The following chart, describes a typical schematic description of a lifecycle process of a project that involves procurement activities. 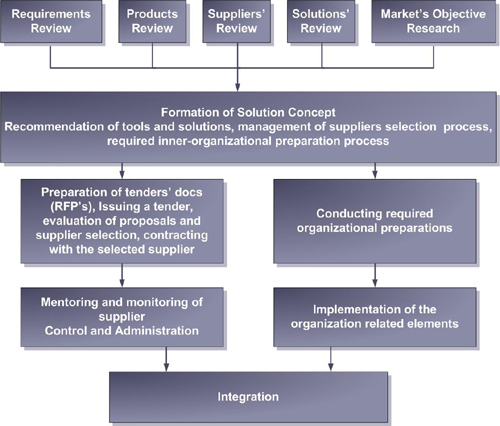 The procurement stages in this lifecycle process are being treated as described hereafter in accordance with the methodology.